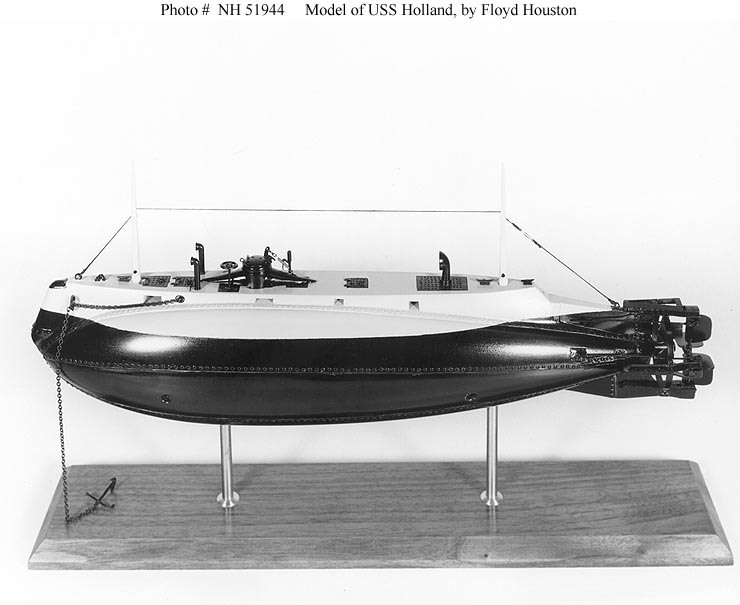 This page features views of drawings, models and artifacts related to USS Holland. 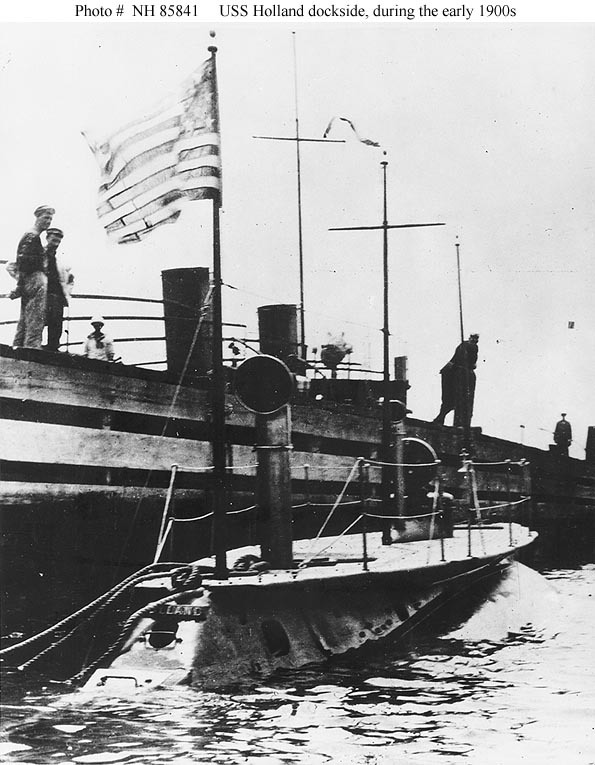 USS Holland (Submarine Torpedo Boat # 1), 1900-1913. 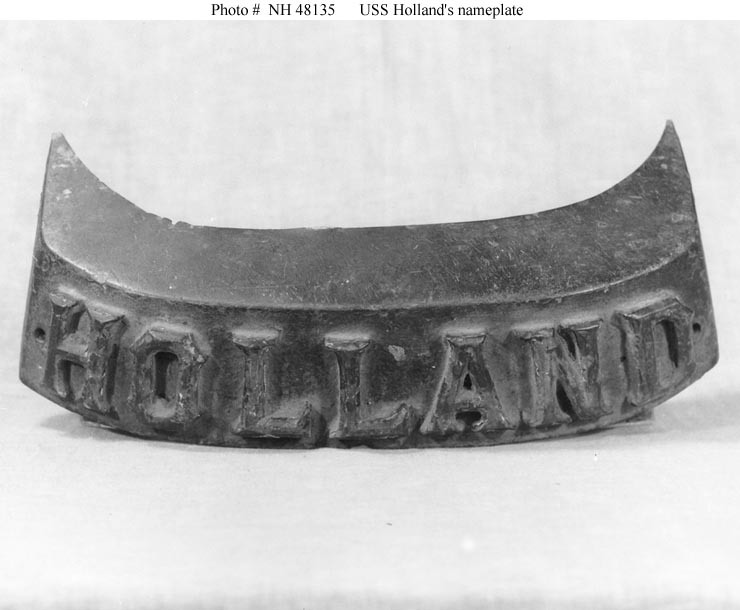 If you want higher resolution reproductions than the digital images presented here, see: "How to Obtain Photographic Reproductions." 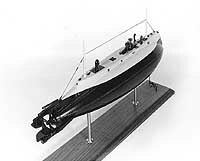 Simplified inboard profile drawing, published in "Scientific American", Volume 45, January-June 1898. 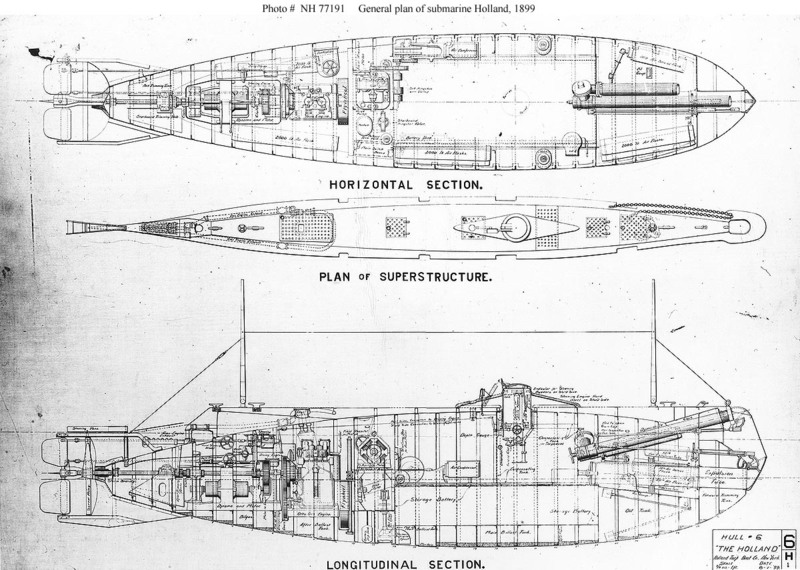 General plans, including longitudinal section, horizontal section and superstructure plan drawings, made by the Holland Torpedo Boat Company, New York, 1 August 1899. 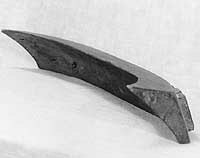 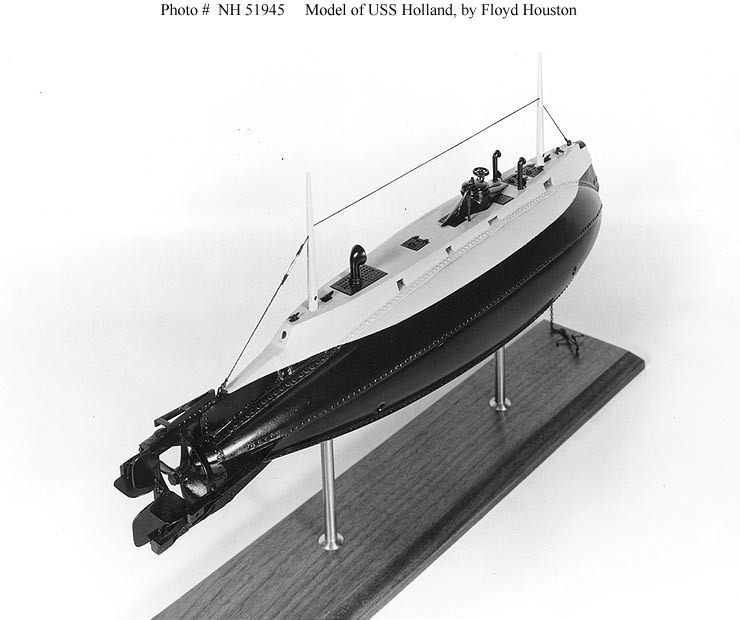 Courtesy of the Submarine Force Library and Museum, Groton, Connecticut, 1972. 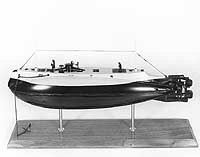 Inboard profile plan, circa 1899, representing the submarine after she had been refitted with rudder and diving planes aft of the propeller. 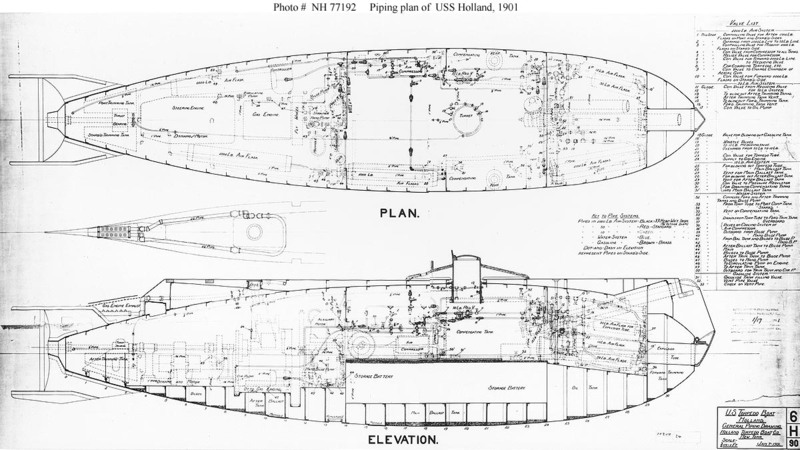 Piping plan, made by the Holland Torpedo Boat Company, New York, 7 January 1901. Model built by Floyd Houston, of Long Island, New York, and presented by him to the Naval Historical Foundation in April 1960. 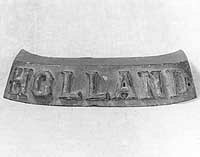 Name plate formerly attached to the submarine, photographed circa the 1950s or early 1960s. 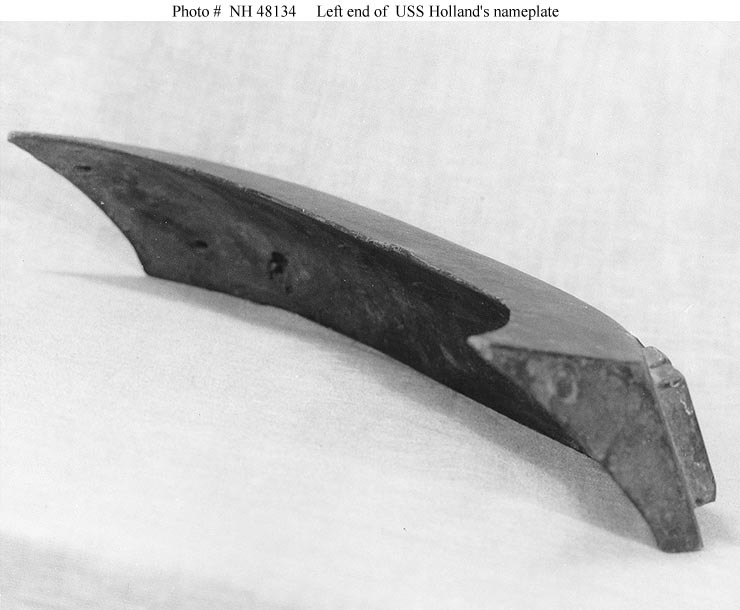 Courtesy of the Smithsonian Institution. 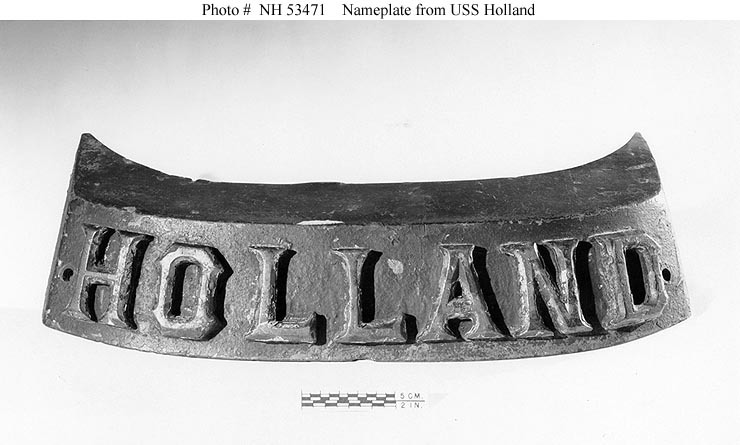 View of the submarine's name plate, photographed while it was located in the Smithsonian Institution, circa 1958. 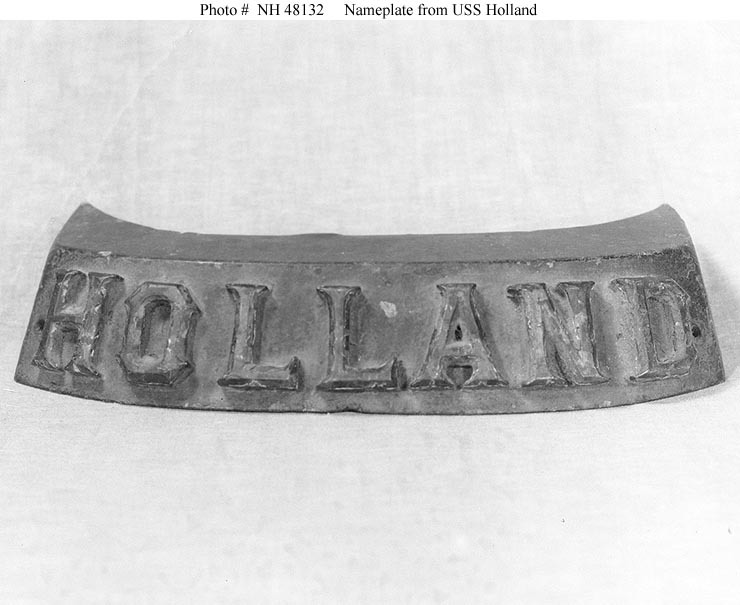 Backside of the submarine's name plate, photographed while it was located in the Smithsonian Institution, circa 1958. 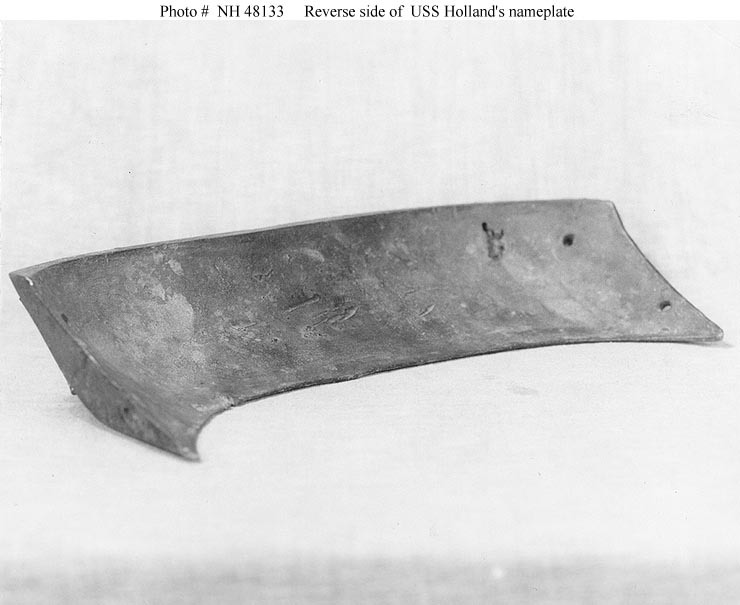 Reverse of the submarine's name plate, photographed from off its left end while it was located in the Smithsonian Institution, circa 1958. 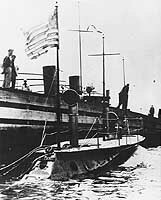 At dock side during the early 1900s, with her nameplate visible just aft of the flagstaff. 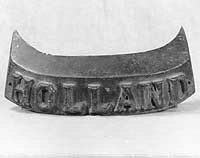 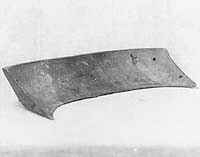 This nameplate was later in the Smithsonian Institution. 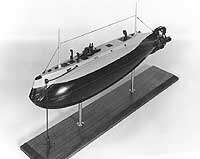 Return to Naval Historical Center home page.